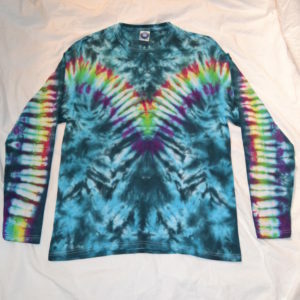 This long sleeve t shirt comes from ethical sources and has been hand dyed using a rainbow spiral pattern. 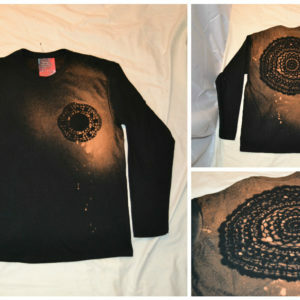 PLEASE NOTE: This listing is for a CUSTOM ORDER, therefore it will be made specially for you. This process can take up to one week. Please bare this in mind when placing your order. 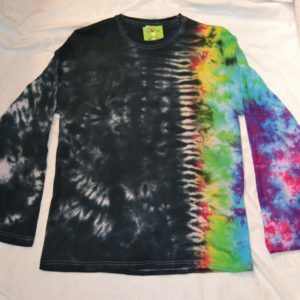 There is an infinite number of designs and colours that can be made in the wonderful art form of tie dying, this means that a lot of our designs can not be pre made. 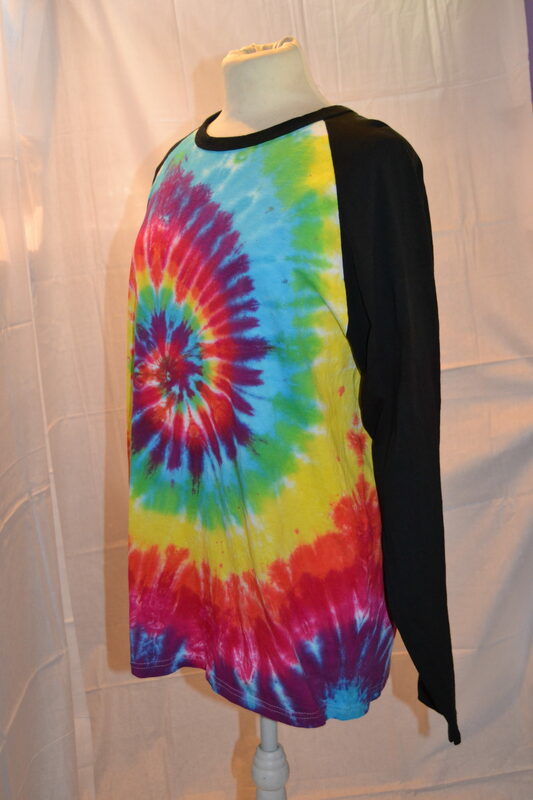 We are not a factory, all of our tie dyes are hand made with love and care. 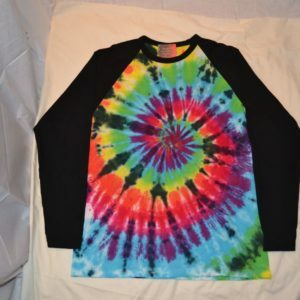 All of our T shirts come from ethical sources and are hand dyed. 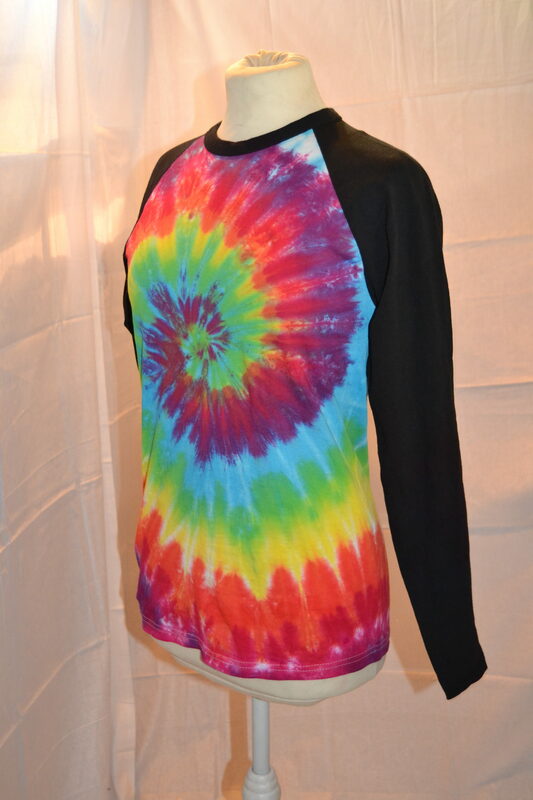 Our T shirts are made to a professional standard and are machine washable. 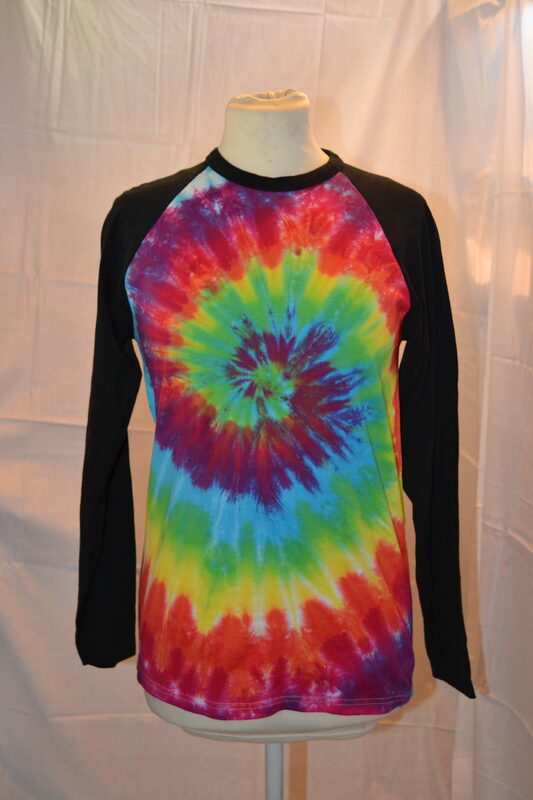 This t shirt is available in sizes S – 2XL. If your size/colour choice isn’t pre made when ordered one will be custom made for you, this can sometimes take up to one week. 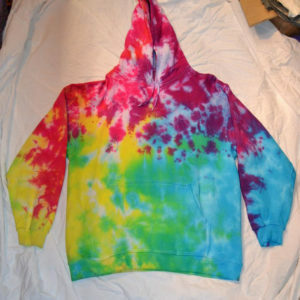 Please note; tie dye is an art form. No 2 t shirts are ever the same. This reflects it’s hand made qualities and is in no way to be considered a defect.